As we move through your Home for Sale, my Home Staging Tips for Quick Sale series is tackling the home section by section. As we have discussed in my previous Home Staging Tips for Quick Sale – Kitchen; Home Staging Tips for Quick Sale– Curb Appeal and the first one, Home Staging Tips for Quick Sale– Walking through the Front Door, the principal idea in all staging of a home for sale is appealing to the Buyers 5 senses. 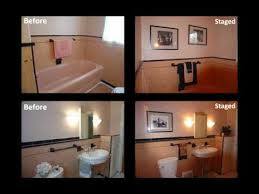 The Bathrooms represent extremely important rooms in your home for sale. Light and lighting, non-clutter, storage, temperature, cleanliness and humidity controlled are all important subject matters that should be addressed along with being pleasant. As is the general idea of staging, rely on natural scents (lavender sticks and soaps) not plug-ins or sprays. If you do not have natural light in the bathrooms, do the next best thing – make sure you have ample artificial bathroom lighting… and a way to turn it down to “soaking in the tub” lighting. Fresh coordinating towels and window coverings along with all bathroom paraphernalia put away so whatever surfaces are exposed appear larger in area. Look for innovative ways of storage shelves or cabinets. Remove all prescription drugs from medicine cabinets and safely store them for showings. 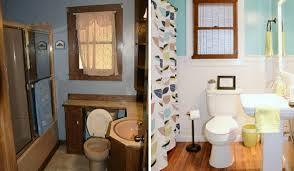 One of the nice things about bathrooms, they do not have a lot of area so re-doing them is not typically expensive.